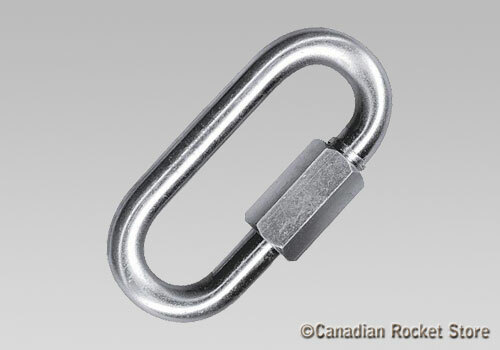 The Quick link is used to connect parachute or streamer to your larger rocket or ball bearing swivel. This allows you to quickly adjust the parachute size, or even replace it with the streamer on a windy day. This link is rated for up to 1200 lb. Size is 2 1/4 x 1" and it fits BT-60 and larger tubes. Weight - 32g.